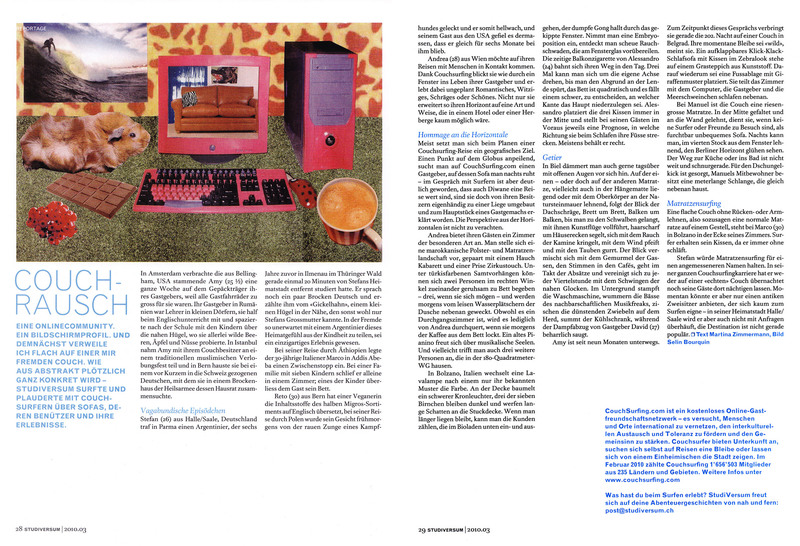 Here’s an article written by Martina Zimmerman for Studiversum, a student magazine in Bern, Switzerland, in January 2010. It’s about CouchSurfing and features me and other surfers. The article is in German, but hopefully I’ll get an English translation soon!